Wow! 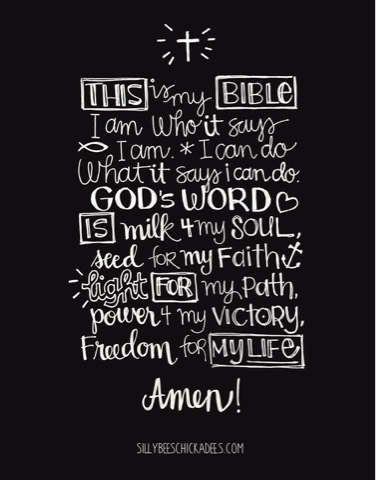 I created this scripture art for my journaling Bible and didn't think anyone would really notice it when I uploaded it to the Facebook group, Journaling Bible Community. 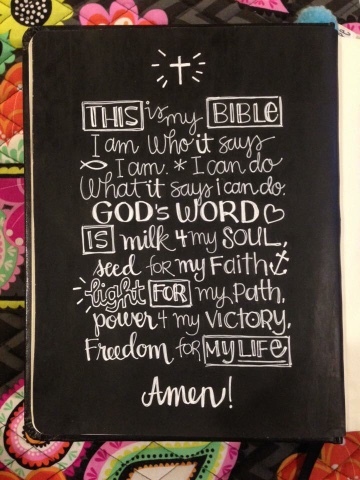 Then, I saw another Bible journaler share her own version in the group about a week later! In her post, she explained that she saw it on Pinterest but wasn't sure of the source. I told her that it was shared in the same group. Crazy, right? Because Pinterest tends to send people on wild goose chases for sources, I thought I would make it easy for others to find the original artwork. So, here it is! 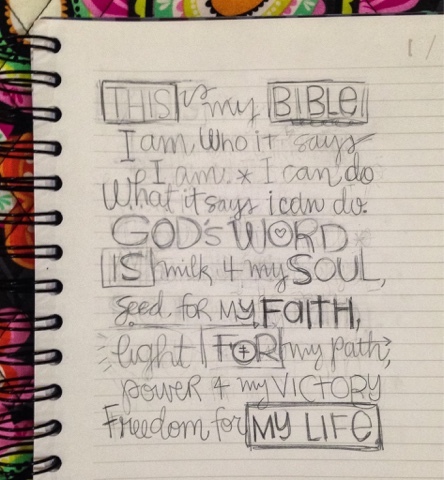 Feel free to incorporate it into your own Bible journaling. I am so thrilled that This is my Bible has inspired so many fellow journalers and I'm honored that it has found homes in their Bibles. It's such a joy to see all the various interpretations! 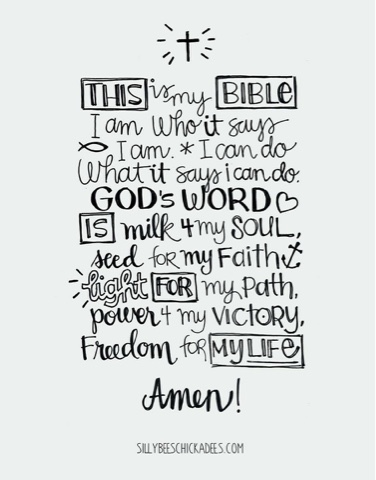 I would absolutely love if you would share your own versions of This is my Bible by uploading a picture to my Facebook page, The Nest - Silly Bee's Chickadees. Please do not download the original artwork and post it on social media. Instead, link a thumbnail of the image to this post. Thank you!